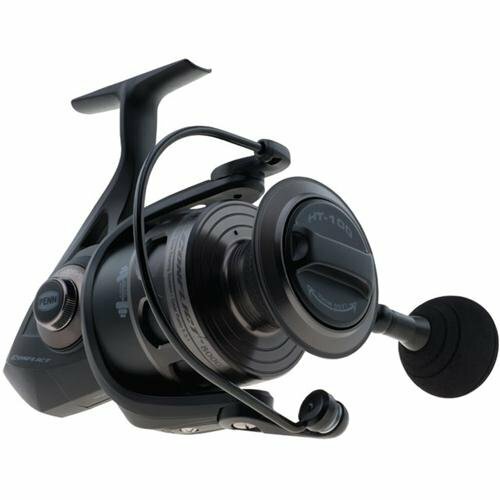 My original intention was just to write review solely based on Penn Conflict: Its features, pros and cons and just to introduce this spinning reel to people who are looking for a new one. However, knowing that I have recently reviewed the very popular Penn Battle II. I decided to create this review as comparing one vs the other to see how Conflict matches up to the Battle’s second version. They can be considered quite similar reels. Both are primarily made for inshore, technical anglers but both can come in sizes that are suited to offshore angling too. Conflict costs a bit more however overall they stay in mid-price category ( $100 or slightly more). We all know that the Conflict remained and was designed to be better reel than original Battle but does it fit to the mix after the second edition was launched? Max drag 9-30 same as Penn Battle II. Weight starts as light as 7.80 to as high as 29.10. Beating Battle in its well-known weight problem. Reinforced graphite rotor available to 1000-4000 version. Aluminium rotor on 5000-8000 sizes. Balanced rotor technique eliminates problems with torque and drag pressure. Bigger Conflicts(5000+) have a rotor brake, Battle series do not. Like I already mentioned in reel models section, the Penn Conflict weighs 3-10% less than Battle 1&2. The biggest differences are in smaller sizes and it is tied to the fact that Penn Conflict smaller versions bodies are made from graphite. Not shielded but sealed. Original Battle did not have it, but the Battle II does. Considering Conflict was launched in 2013 I must say for that time it was way ahead of competition with this technology. Now others have caught up and almost any new spinning reel has line capacity rings to keep an eye on the line during busy fight and braid only spool. In addition, the whole stealth black looks great and can be buying factor for those who value bling. Now, there is one small aspect that should be improved. Instead of anti-reverse roller bearing, it has a bushing. This little flaw can decrease the overall corrosion resistance a bit. When getting back to the original comparison mission I must say that the updated Penn Battle II is pretty much identical to Conflict. Yes, the latter has slightly lighter weight and reinforced rotor for more reliability when fishing for stripers, redfish or especially tuna. However on average it costs $20 bucks more. At the end of the day, it eventually becomes your choice of whether you value or even need those extra features for $20 bucks. If you do, then by all means go with Penn Conflict. If not, then you already should know which one to buy, unless you love wasting money. That is a great point Ben. I appreciate that insight and glad we can add it to the content of this article. 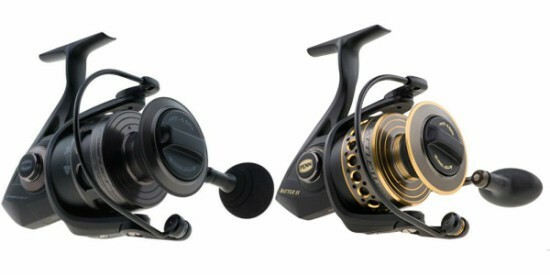 I own a battle 6000 One model and two Conflict reels the 5000 & 6000 models. The gears Pinion Main Crank & Crosswind and Crosswind Block are interchangeable on both the 5000 & 6000 Conflict. The gears in the Battle II are the same as the Conflict, the only difference between the Battle II and Conflict is that the Crosswind Blocks are different and aren’t interchangeable between the two models I don’t know why but I think Penn made the housings different. I found this out when I ordered parts to replace my gears and crosswind blocks in both my Conflict 5000 & 6000 this past year and now they work like new. I buy my parts through Penn or from Penn affiliate Scotts B&T. I’ve caught so many Big Bluefish and Bass Plugging and throwing tins on the surf and they’ve never failed me. FYI I wedge a rubber O Ring inside the side plat of the crank arm of these reels to keep the sand out it doesn’t water proof the reel that much though it helps and especially if you accidently drop your rod and reel in the water, but sand will kill your reel if it gets in your housing fishing on the ruff surf and will ruin your day.